"You know," Jake said in a conversational tone as we waited for Tobias, "from the point where Edelman said 'maple and ginger instant oatmeal,' I should have known this was going to end stupidly." 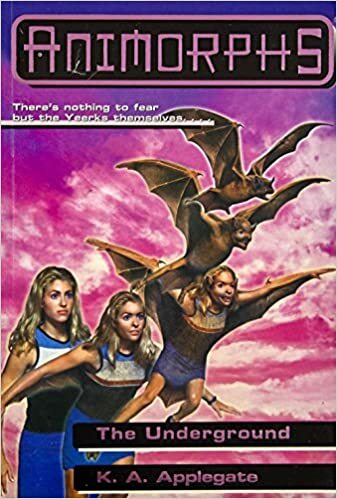 A book where the Yeerks (the evil alien brain slugs) turn out to be deadly addicted to maple and ginger instant oatmeal sounds like it should be the most stupid book in the series, but it actually worked. Even lines like "[biggest bad guy] would sacrifice hundreds of his fellow Yeerks to the oatmeal madness" couldn't stop the story from actually working. While the weakness to one type of instant oatmeal is silly, the story used it to explore the question of lowering yourself to tactics your enemy uses, and how many innocents is it okay to kill while trying to win a war to save them. It closed a lesson to be kind to (seemingly) insane homeless people. Big, important issues for young readers! The book had lots of plotholes and silly sound effects. (Can you guess what this sound is? "Crrrrr-UNCH! Crunch! Scree-UNCH!" Go ahead, guess. ...it's the sound of an elephant crashing through a wall.) But man, it had some dark, nightmare-ish stuff as well. This was one of those "Hard time believing it's a YA book" ones. These kids keep facing death, almost dying, doing what adults can't, and all in a really realistic way. Oatmeal madness aside, this was one of the most enjoyable books in the series so far.